offered at his clinic located at 73 Rue Defacqz 1060 Bruxelles Belgium for men with severely depleted scalp donor follicles. Body or beard hair transplant is another highly sophisticated technique in hair transplantation that are offered only by the absolute best physicians in the world. Dr. Patrick Mwamba is by far one of the most experienced doctor in Belgium and Europe for this type of procedure. 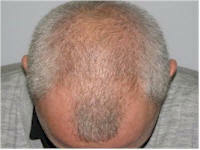 Body hair transplant was invented out of necessity mainly for repair cases due to limited supply of scalp donor follicles in badly scarred hair transplant patients. Generally speaking, the most robust body hairs that are suitable for hair transplantation are usually beard grafts or chest hairs. Being able to tap into this new pool of donor follicles have created new possibilities for many hair transplant repair cases as well as strip scars repair. 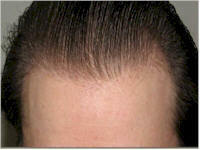 As with FUE, skills and experience are critical in successful body hair transplantation. There is no machine or computerized robots that can perform this type of delicate micro surgical procedures. This type of surgery should only be performed under the hands of a skilled surgeon. When doing your research, don't simply trust what the doctor or clinic advertises to you. A lot of doctors and clinics make claims that are rarely substantiated. Not all body or beard hair transplant doctors are created equal. Always demand to see extensive documentation of body or beard hair transplant patient results over an extended period of time. This is an area where experience counts more than anything else. No machine or computerized equipment can replace the skills required for this micro surgical procedure. Below is an example of Dr. Mwamba's remarkable beard hair transplant work. Photos showing donor site healing as well as regrowth in the crown area using beard grafts.